Open the door and step into the cozy dining room and farmhouse style kitchen space that is perfect for entertaining. With quartz counters, stainless appliances and a large island there is plenty of room for cooking and socializing. The large main floor master has an attached 8x16 space with dual closets offering the master bath and bedroom more privacy. 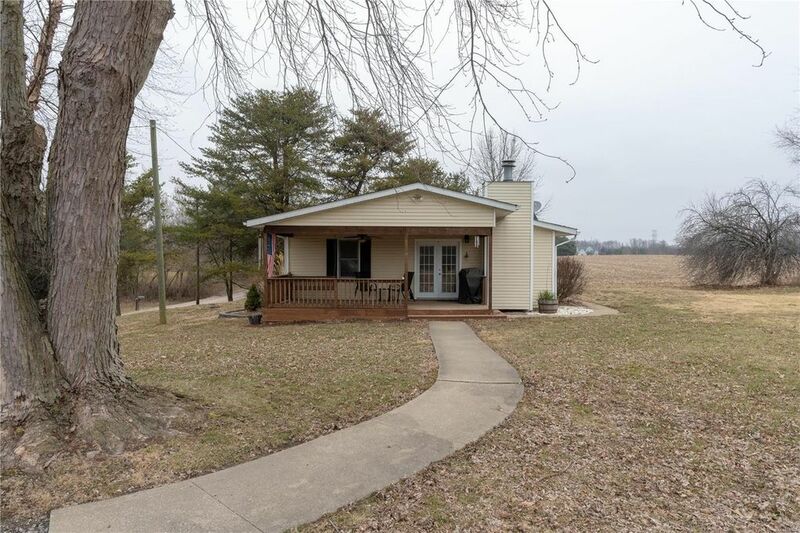 The country setting has a beautiful view of the neighboring pond from the porch and all bedrooms. A large two car detached garage and separate 34x38 pole barn ensure plenty of room for storage and all your vehicles. Directions: Troy O'fallon Rd to W. Mill Crossing to Equus Lane.